There’s definitely something about Mechanicville. I must admit, even as a resident of Saratoga Springs, I didn’t know a whole lot about it until I was assigned a story about it. Scratch that—I knew approximately nothing about Mechanicville. To me, it was a geographic location: situated in southern Saratoga County, east of the Northway and the suburban sprawl of Clifton Park, and one of a string of towns—including Schuylerville and Stillwater—along Route 4, heading north from Troy and hugging the banks of the Hudson River (and that was all thanks to Google Maps). By the time I actually paid a proper visit to Mechanicville, I’d uncovered a few more morsels about the town—the first being that it’s actually not a town, but technically a city, if a small one. In fact, it’s one of just two cities, along with Saratoga, in the county, and boasts a population of approximately 5000, packed into less than one square mile. 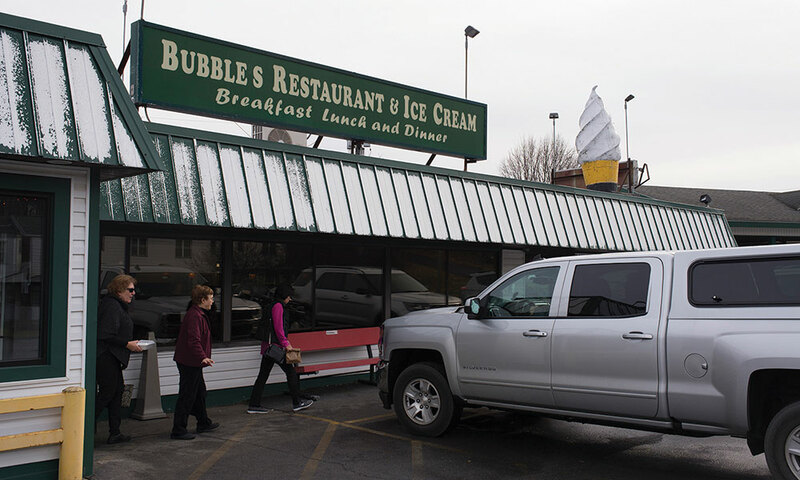 (It claims to be the smallest city, area-wise, in the entire state.) I’d also discovered that Mechanicville—while considerably less bustling now than a few generations ago, when manufacturing fueled the local economy—was once home to an important railroad hub, as well as several consequential factories, including the Westvaco Paper Mill, which at one time was one of the largest paper producers in the country. 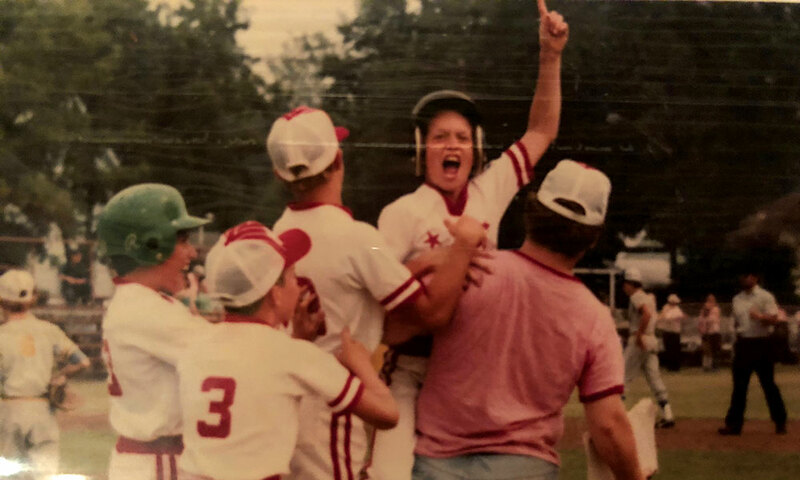 Dan Pickett, now Chairman, CEO and Cofounder of tech firm nfrastructure, celebrating after a winning hit on the 1980 Mechanicville All-Star team. In one sense, Ianniello is dead on; though incredibly successful in his own right, he’s not the only Mechanicville native of note. Enter his quartet of locally famous friends, each of whom grew up in the small city and has put together an enviable résumé. These include Chad Brown, the award-winning and record-breaking Thoroughbred horse trainer; C.J. DeCrescente, President of Mechanicville-based DeCrescente Distributing; Dan Pickett, Chairman, CEO and Cofounder of local technology giant nfrastructure; and Dave DeVoe, former CFO of the global media colossus News Corp. Aside from their professional achievements, the friends, all of whom have maintained close ties to Saratoga and the Capital Region, are extremely active in any number of local institutions and philanthropies. It’s at fundraisers and the like, in fact, that Ianniello says he most often gets to see his friends from the old neighborhood. Then, of course, there’s also summers at Saratoga Race Course (see below). So what is it, exactly, that makes Mechanicville so incredibly special? Pickett has been on a roll from the beginning, actually. 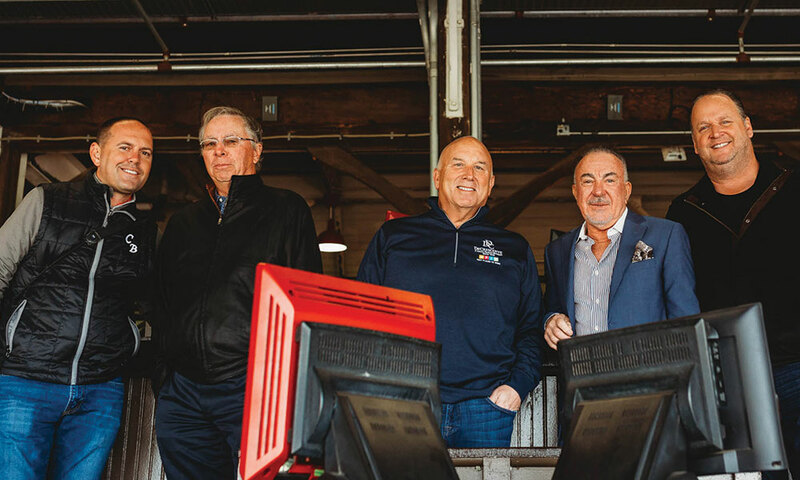 After graduating from Rensselaer Polytechnic Institute (RPI) in Troy, he went on to become a major player in the tech and private equity worlds, and one of the Capital Region’s foremost philanthropists. The Pickett Family Foundation, founded in 2001, supports numerous charities, including the American Cancer Society, St. Jude’s Children’s Research Hospital, St. Peter’s Health Partners and Saratoga Hospital. Pickett has served on the boards of a number of institutions and nonprofits, including Albany Medical Center and the local chapter of Gilda’s Club, named for the late Saturday Night Live star Gilda Radner. He’s also on the board of trustees for his alma mater, RPI. C.J. DeCrescente, who went on to become President of the Mechanicville-based DeCrescente Distributing. Even when it comes to the many charities he supports, DeCrescente is mindful that hard work is the key to success. He urges his senior leadership to give not just money but time to worthy causes. “Checks are great, but there’s no better way of giving back than by actually getting involved in the organization,” he says. When I spoke to DeCrescente, he was headed off to meet up with family members and employees for their annual Christmastime tour of area facilities for the sick and elderly, including Saratoga Bridges in Wilton. They dress up in costumes (C.J. was The Grinch), sing carols and spend quality time visiting with those who could use a little holiday cheer, culminating in a big gathering at C.J.’s house in Clifton Park. But it can’t just be hard work, right? I ask Tony Ianniello if, maybe, there’s something in Mechanicville’s water. He pauses for a minute and says: “I’d say strong families—we all came from strong family backgrounds.” He then reels off the biographies of his friends like a man talking about his own brothers. “C.J. is the third-generation of a distribution company, and he’s taken it very far, as his father did from his grandfather. Dan Pickett’s parents were both from Mechanicville—his father was a star athlete who played all sports. A lot of us played sports.” (Basketball and baseball were Ianniello’s games, from Little League through high school.) He continues: “Dan went to RPI and is the youngest member of the Board of Directors in the history of RPI. I went to Union College, Dave went to SUNY Plattsburgh, Chad went to Cornell—so we were all educated Upstate.” Because of those ties, Ianniello never strayed too far from his friends. After earning his BA from Union, he went on to get an MS/MBA from Northeastern University before returning to the area to complete his JD from Albany Law School. He’s been in private practice since 1970, with a concentration in real estate law. (While he’s built a reputation as one of the area’s most prominent attorneys, Ianniello reveals that he didn’t always want to go into law—he originally wanted to be an investment banker.) Today, Ianniello Anderson employs 16 lawyers and a support staff of 50, has 5 offices in New York and Florida, and is licensed in several states. Aside from his day job, Ianniello is, like his successful friends, heavily involved in the arts and local philanthropies, serving on the boards of SPAC, Universal Preservation Hall and the Saratoga Automobile Museum (of which he is a former Chairman), and he’s closely involved with organizations such as Opera Saratoga, the National Museum of Dance and Saratoga Arts. “My greatest passion is supporting the arts for young people,” says Ianniello. “We have a lot of plans to make Saratoga really a national destination for the arts.” This May, Ianniello will be honored for his contributions to the fight against cancer with the Beacon of Hope Award at the American Cancer Society’s annual Gala of Hope at the Hall of Springs. As is fitting for someone so closely associated with the Auto Museum, Ianniello has loved cars as far back as he can remember, and as an adult has gone on to become somewhat of a collector—though he’s quick to correct me that a true collector is one who deals in vintage models, while most of his are on the newer side. When I ask him to share with me all the wheels he owns, he obliges (in case you’re interested, he’s got two Ferraris, three Porsches, a McLaren and a Bentley). Today, Ianniello makes his home overlooking Lake Lonely, just east of Downtown Saratoga and 14 miles due north, give or take, of Mechanicville. 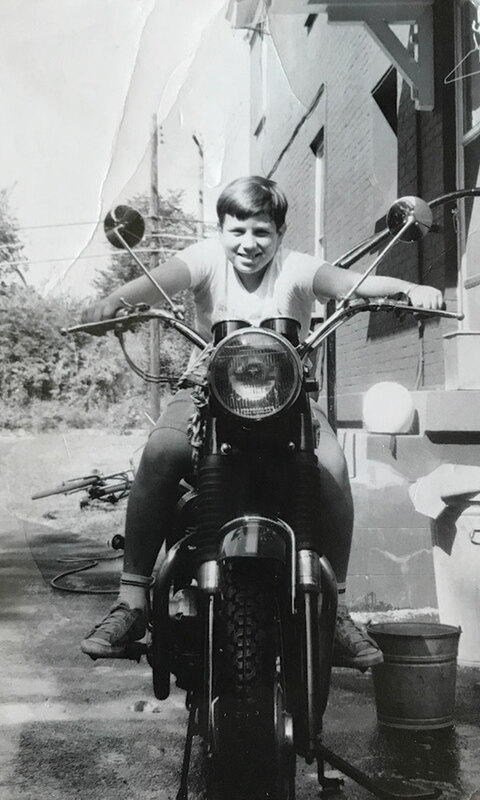 It was never really a question that, even as he achieved such an impressive education and started building his career, Ianniello would stay close to home. He wanted to be near his parents as they advanced in years (they’re now deceased, as are both his brothers), as well as his five nephews, with whom he remains close. Echoing his friend C.J. DeCrescente, Ianniello points out that it wasn’t always easy creating a business from the ground up in this part of the world. “The business climate when I started was, I’d say, in the doldrums. It wasn’t a very robust environment, and over a long period of time, we’ve arrived at where we are now, which is like an oasis in the middle of the desert. Most of Upstate New York is challenging, but the Capital Region has, I think, a robust business environment.” Much of that he credits to Glens Falls native Joe Bruno, the longtime Republican leader of the New York State Senate, as well as local investment by companies such as GLOBALFOUNDRIES and the establishment of the Colleges of Nanoscale Science and Engineering on the campus of SUNY Polytechnic Institute in Albany. So what of Mechanicville and its future? Its proximity to the state capital, access to big-time employers and enviable location on the Hudson continue to benefit the city greatly. Neighborhood institutions such as the Arts Center on the Hudson, located in the stunningly renovated Gothic building that used to house St. Luke’s Church, have breathed new life into the community. Well-established Mechanicville traditions, some of them more than a century old, are still alive, such as the annual Feast of the Assumption Parade every August. And yet, there continues to be so much obvious opportunity here. You see it as you walk these streets, in the old buildings that could use a little TLC and vacant storefronts—a familiar site, sadly, in so many small cities that have fallen victim to the Walmarts and Amazons of the world. So, yes, I think a renaissance is in order, and if history is any guide, these boys of Mechanicville will be rooting for their hometown. No question about it. On August 31, 2018, the day before Chad Brown became the winningest horse trainer in Saratoga Race Course history, he was enjoying a different kind of day at the races. The guest list included powerhouse friends and Mechanicville natives Tony Ianniello, Partner at Ianniello Anderson, P.C. (and Chair of saratoga living); C.J. 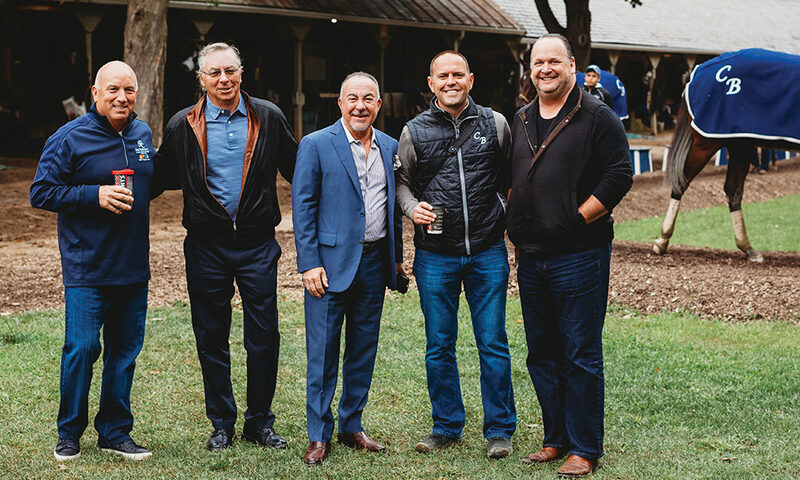 DeCrescente, President of DeCrescente Distributing Company; Dan Pickett, CEO and Cofounder of tech firm nfrastructure; and Dave DeVoe, the former CFO of News Corp, all of whom met Brown at 7am sharp for a tour of his Thoroughbred stables in a part of the racetrack few fans ever get to see. And I was there, a fly on the wall, along with saratoga living Senior Photographer Dori Fitzpatrick, to capture this rare meeting of minds. 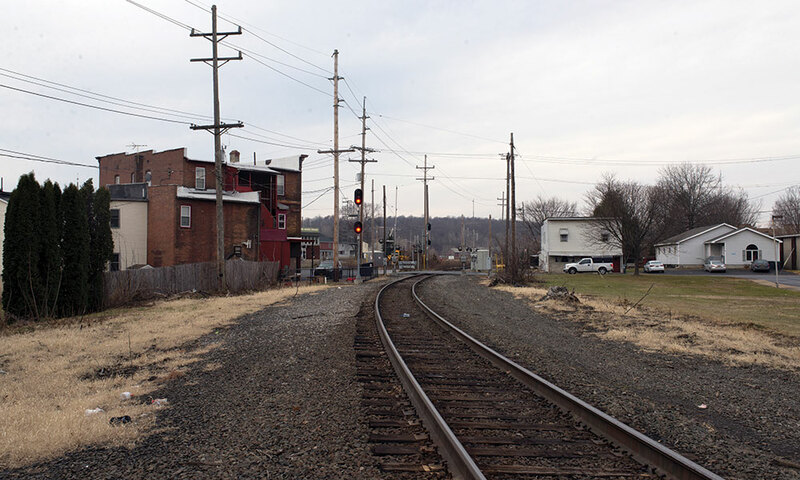 The group met at Barn 52, adjacent to the Oklahoma Training Track, across Union Avenue from the main track. The barn is the center of Brown’s operations and where the private tour began. Chad led us on a muddy walk around the grounds, and we caught groomers prepping and washing his horses, including the four who would run under his name later that day. We also met a two-year-old filly named Feedback, who’d won her first race by eight lengths at Saratoga earlier in the month. Next, we were shuttled over to the main track by golf cart, joining the other trainers and owners watching their horses jog, gallop and breeze by. With the haze of the morning lifting, we stood at the rail, admiring the view of the Grandstand as Brown coordinated which horses, in pairs, he wanted to see work, to assess his options for future races.